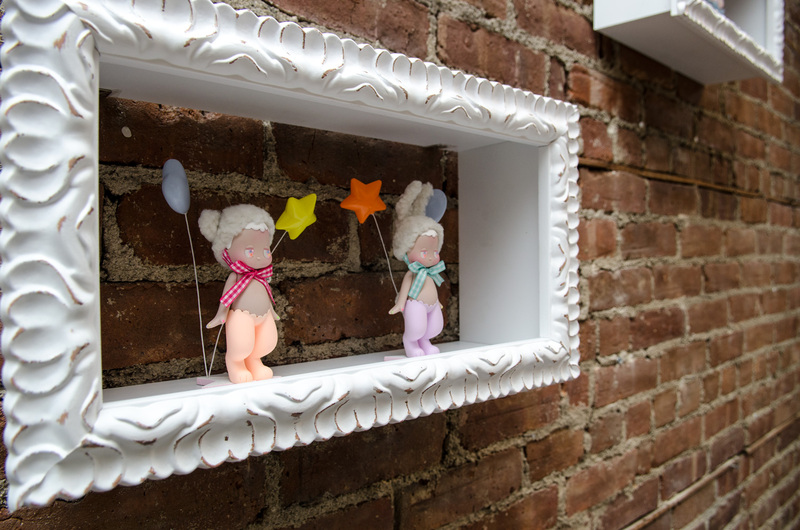 » Clutter Gallery Presents: Puffhead by Seulgie opening recap! 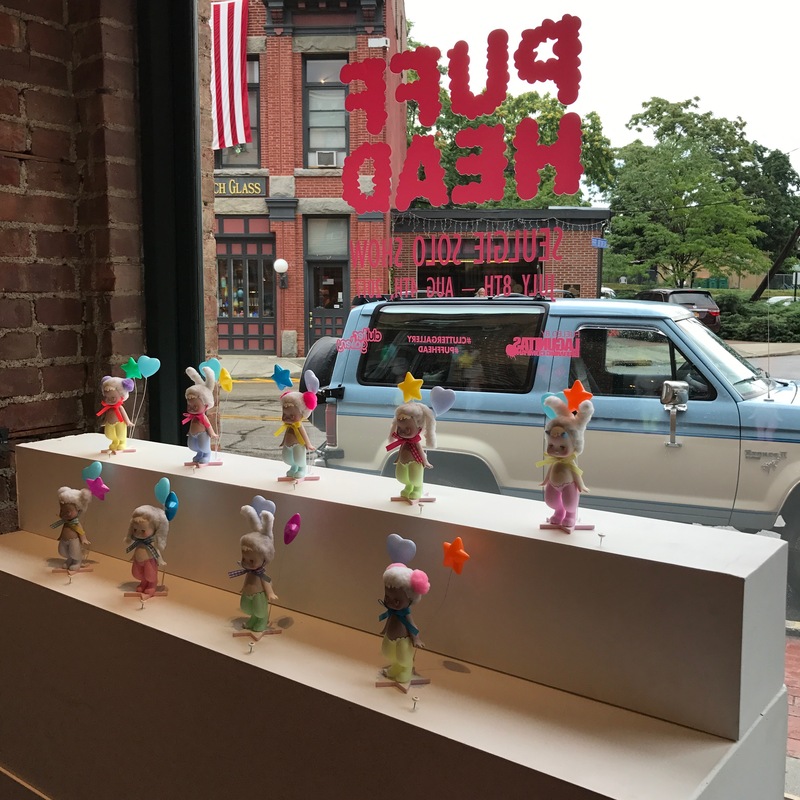 The Clutter Gallery opened it doors on Saturday night (July 8th) to Seulgie's solo show, Puffhead! 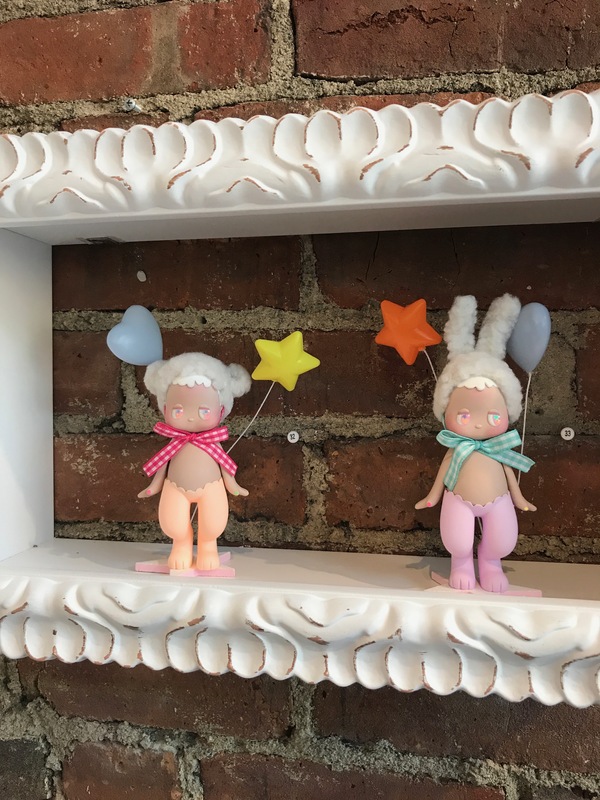 We have been huge fans of her cute Satyr characters for some time, so imagine our excitement to be playing host to her latest fluffy headed designs. 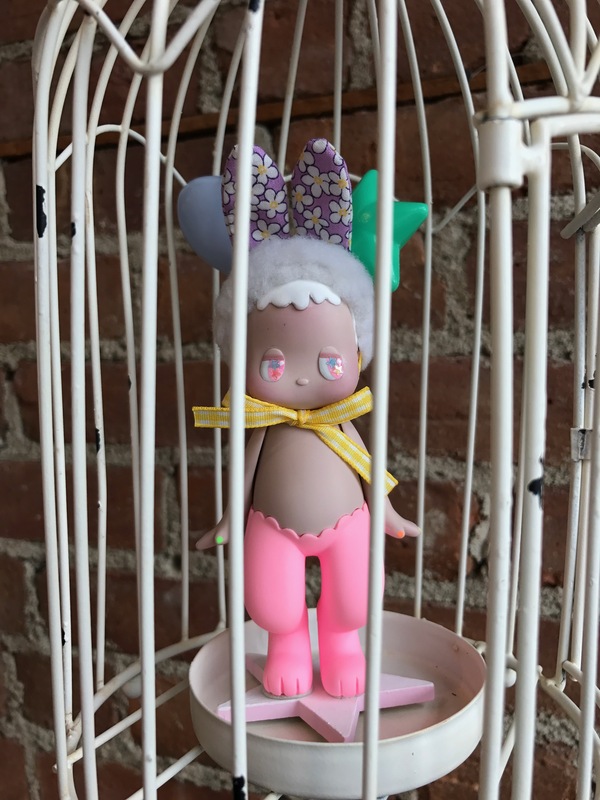 Relatively new to the world of Designer Toys, the South-Korean artist made big splash with her first ever creation, the Satyr a few short years ago, and has not looked back since. 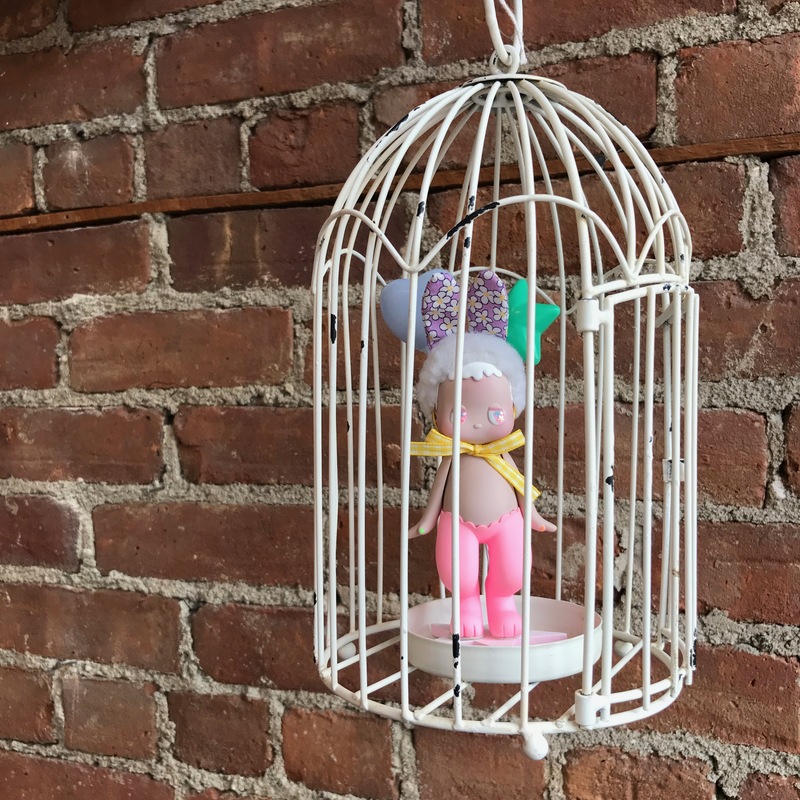 Mentored by artist and resin master, Peter Kato, while she was living here in NYC, Seulgie has been pushing her creations into new and interesting areas. This show embraced the theme of Puffhead, giving each unique creature a beautifully fluffy head of hair. 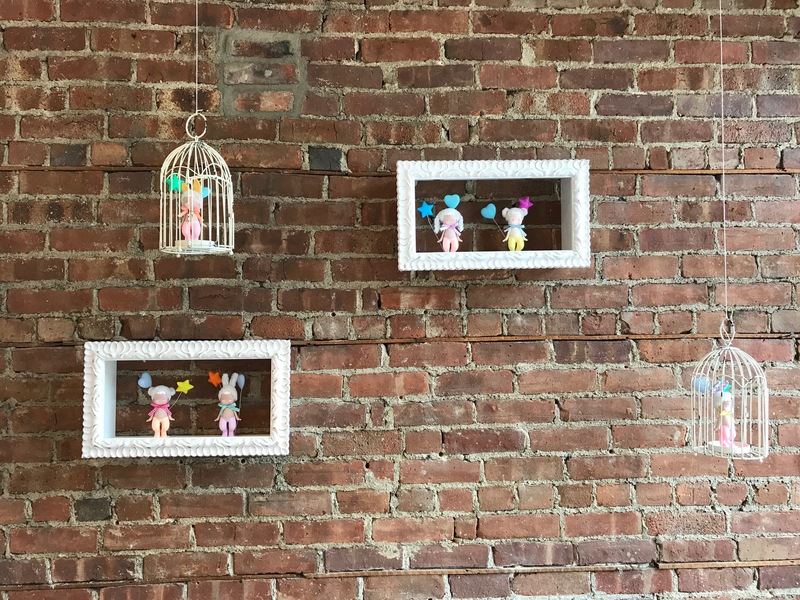 From Bears, to Bunnies, to Puppy dogs (and even a devil), the array of pastel colored creations is spectacular. 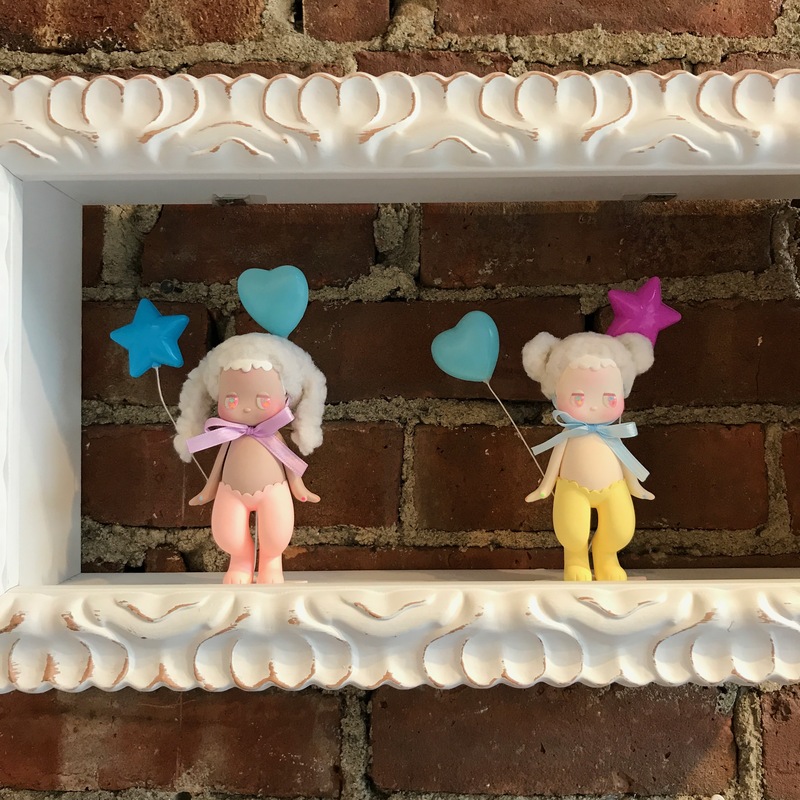 Pairing each new figure with a set of fun balloons, she adds a dramatic pop of color against the muted pastels of the figure's body. Her eye for color and attention to detail proves to be once again spot on, creating a show not to miss! On display until Aug 4th, this Sold Out show will not disappoint!